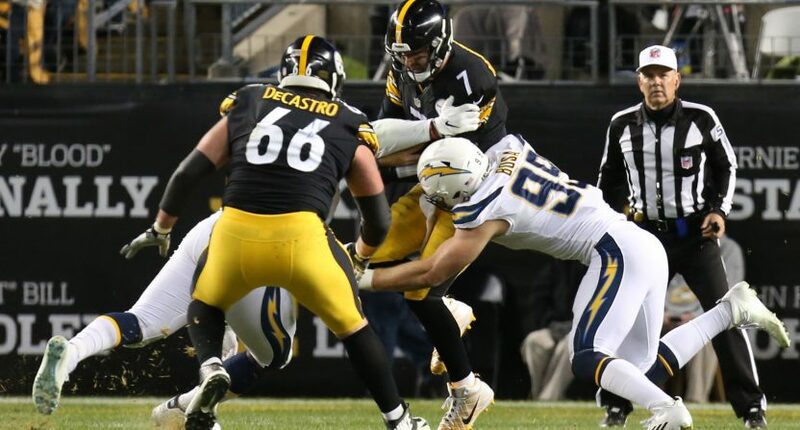 On Sunday night, a fight broke out in the stands during the Pittsburgh Steelers’ loss to the San Diego Chargers at Heinz Field. During the fight, a man choked a pregnant woman, who was grabbed in the throat while trying to break up the altercation. The fight happened after the couple – a pair of Chargers fans – were told to sit down during the game. The Pittsburgh Current reports Daniel Minshew, the husband of the pregnant woman, is planning on pressing charges against the Steelers fan who put his hand on her throat. The Steelers released a statement about the incident, calling it “unacceptable.” The team said they’d work with Pittsburgh Police. There are so many things wrong with the incident. Getting into a fight during a football game is idiotic. Putting your hands on a woman during a fight is disgusting. Putting your hands on a pregnant woman is just awful in every sense of the word. Hopefully, the man sees criminal charges from the fight and the woman who was choked is fine.